FPGAs are field programmable gate arrays which basically means they are reconfigurable hardware chips. FPGAs have found applications in different industries and engineering fields from the defence, telecommunications to automotive and several others but little application in the maker’s world. Mostly, as a result of being largely difficult and high cost as compared to the likes of Arduino, but the introduction of the ezPixel and other similar FPGA boards is making this a possibility. The ezPixel board, by Thomas Burke of MakerLogic, is a small size FPGA based circuit board that can be used to drive up to 32 strings of WS2812Bs, for up to 9,216 LEDs in total, a very first of its kind. These WS2812B programmable color LEDs have been a phenomenon in the maker’s world, being used in various Led Lights and creating of various Light Artworks. These popular LEDs comes in strings that can be cut to any length, and only require a single wire serial data connection to control all the lights in the string individually, and multiple strings can be stacked together to create large two-dimensional displays. 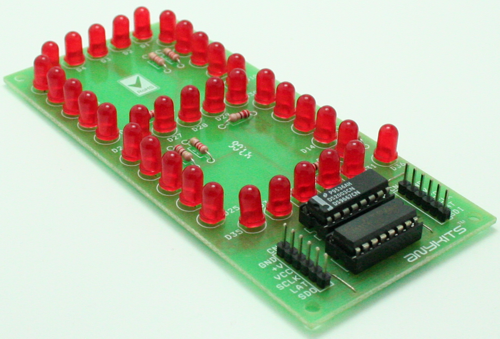 Most WS2812B controller boards can be used to control up to hundreds of these LEDs, but not thousands of them. 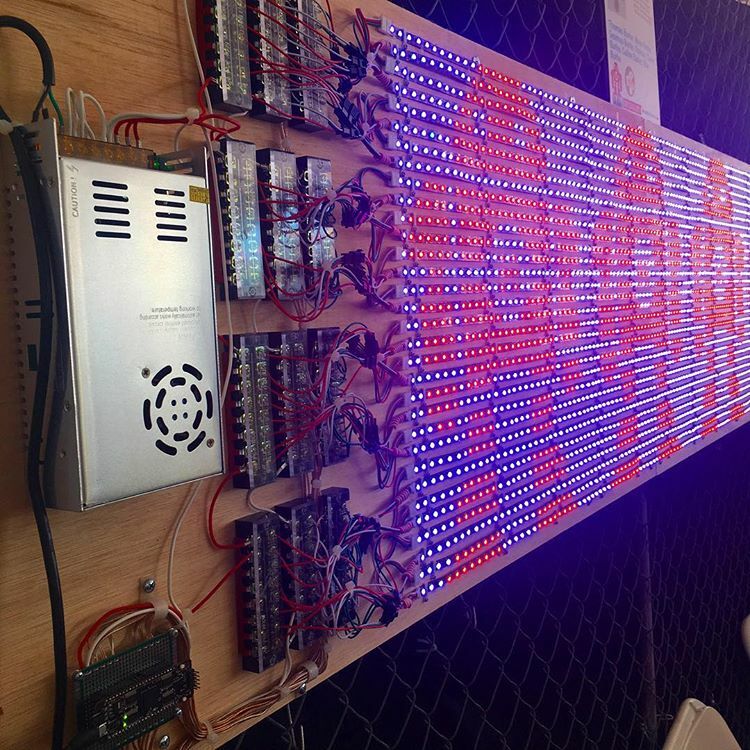 The ezPixel board is a perfect fit for applications that use thousands of these LEDs. 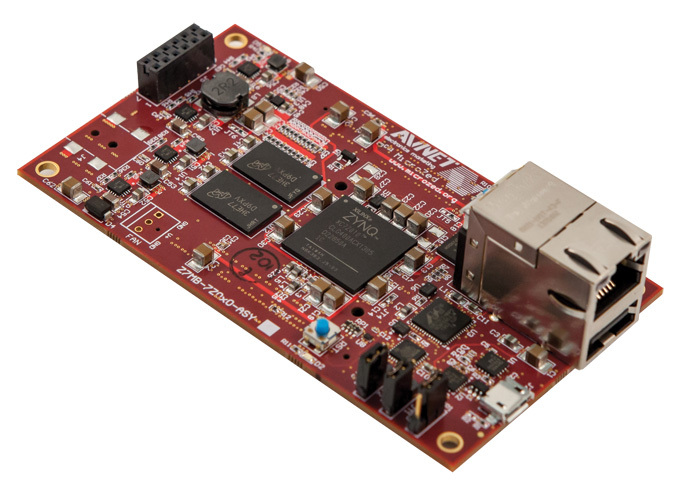 The ezPixel board is powered by the Intel MAX FPGA, a single chip small form factor programmable logic device with full-featured FPGA capabilities, and it’s designed to interface with other Micro-controllers or any SPI/UART host device. 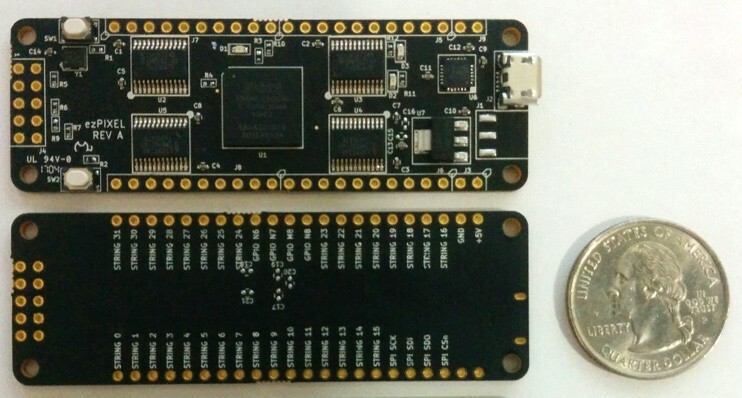 The ezPixel board serves as bridge between microcontrollers and long WS2812B strings. 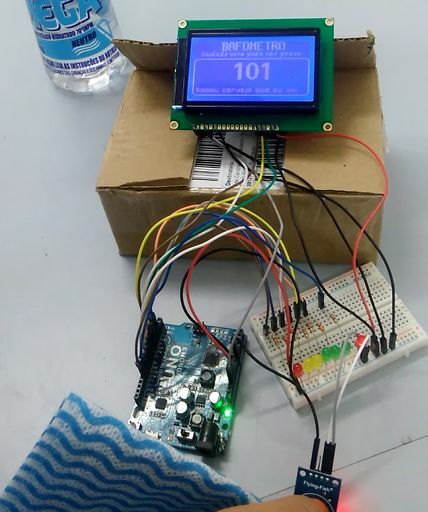 A user sets the length of each string using simple commands that are sent via the SPI or USB/UART communication link. Up to 32 Strings can be controlled independently. Up to 9216 LEDs can be controlled. FPGA – Intel MAX10M08 FPGA. 1” x 3” (25mm x 76mm). The ezPixel can run as a standalone display controller as a result of its serial flash memory chip, and this board is slated for a crowdfunding campaign in early 2018.